At Summit Plastic Surgery & MedSpa we are very proud to have two of the most successful, talented and well know estheticians in the Kansas City area. These two girls work tirelessly to make sure they stay knowledgeable and up to date on the latest changes and advancements in the esthetics industry. 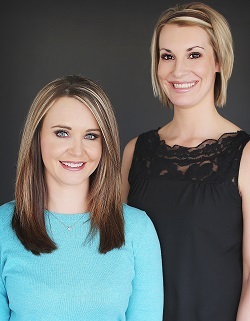 Keri Eichhorn and Heather Mock are both state licensed and CIDESCO certified estheticians. They both graduated at the top of their classes from Independence College of Cosmetology with over 1500 hours of training and with a passion for skin care and a goal to work and succeed in the medical field. With over 20 combined years you are sure to get the best treatments and skin care product recommendations when you consult with either esthetician. Keri and Heather both take pride in their jobs and clientele. They both have wonderful relationships with their clients and work on a primarily referral/word of mouth basis, which we believe says a lot about their character and talent. When meeting with either of our talented Kansas City skin care specialists, you will be fully educated on what your best options are from products to treatments as well as have all questions answered honestly. Both Heather and Keri have a passion for helping with teenage acne as well as mature aging skin and everything in between. They both have an extensive knowledge with many of the clinical skin care lines and are able to determine which products can help or hinder with the results your are looking for. The perfect skin care regimine will combine specific treatments and home care products that will work in harmony together to yield the best looking skin. 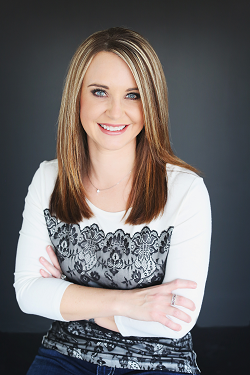 Heather Mock recently joined Keri in our Kansas City area MedSpa in 2014. She has over 8 years of medical esthetics experience and brings her vast knowledge with different treatments and products lines to her job here. Heather loves the relationships she has built over the years as well as being able to see the improvement in her clients skin from month to month. Heather has a passion for making people feel and look better and thinks there is no better job available to fulfill that passion. 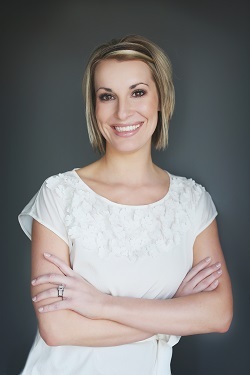 Heather has enjoyed learning and has adapted very well to the vast menu of services and products offered at Summit Plastic Surgery, as it helps her make the best decisions for each client with the options available. Heather has recently become a certified lash extensionist through NovaLash as well as had training with our Sciton Joule Platform and performs both services with complete confidence and competence. Both of our estheticians have a great relationship with Kansas City Plastic Surgeon, Dr. Matt Chhatre and are very knowledgeable on the plastic surgery side of the practice and are able to determine which MedSpa and Plastic Surgery or injection procedure are best suited together for each client. They also assist in post cosmetic surgery procedures, by offering makeup and skin care advice and tips to assist with the results and even treatments for scarring and bruising if needed. With both girls having a long history in medical skin care they have been able to help countless women and men boost and maintain their surgical results. Keri and Heather work very closely with one another and keep each other up to date as well as offer any assistance with any advice or suggestions. They also have personally had most all of the treatments done and tried the products offered to be able to give first hand experience. They frequently try new facial or treatment protocols on each other to be able to assure they are offering the most effective treatments available. You won't find a better esthetics team in any MedSpa in Kansas City. Aside from our amazing estheticians, we believe the best part about our MedSpa is our vast menu of skin care and beauty services as well as our top notch product lines. We have several medical type facials to choose from to give you a relaxing yet very beneficial treatment. We also offer deep penetrating laser and chemical peel procedures and everything in between. Contact our office today to schedule your complimentary Visia skin analysis and treatment plan with Heather or Keri today!